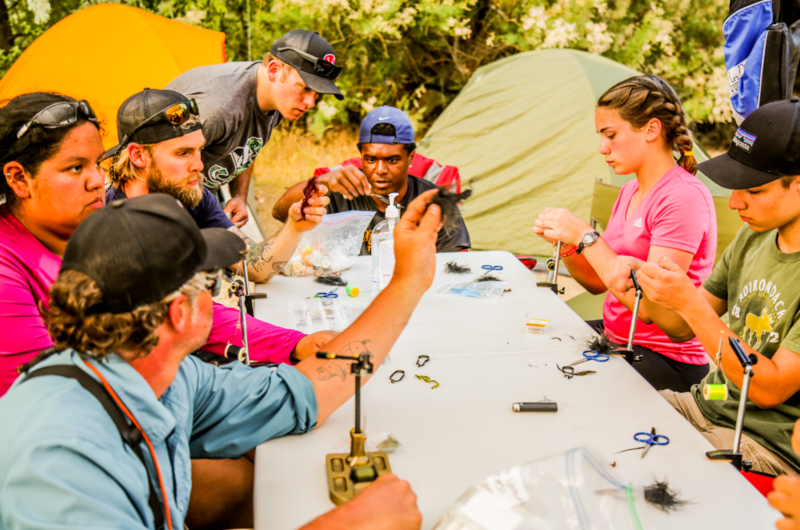 Owhyee Canyon Lands 2016 Deployment #WildForTheOwyhee - Soul River Inc. 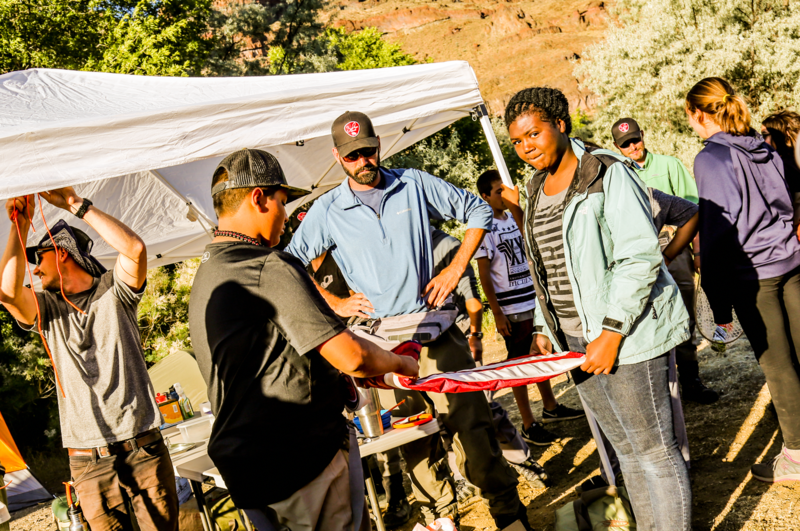 I wanted to extend a genuine thank you for being a part of and supporting the Angler’s Quest Owhyee Canyon lands deployment. This is one of Oregon treasure’s. It’s one of the most remote, wild and untouched places in the entire country. Here, natural conditions prevail and much of the area looks today as it has for generations. The opportunities for solitude, primitive recreation, back country experiences, as well as a chance to unplug from the pressures and noise of our increasingly busy world, are unparalleled. 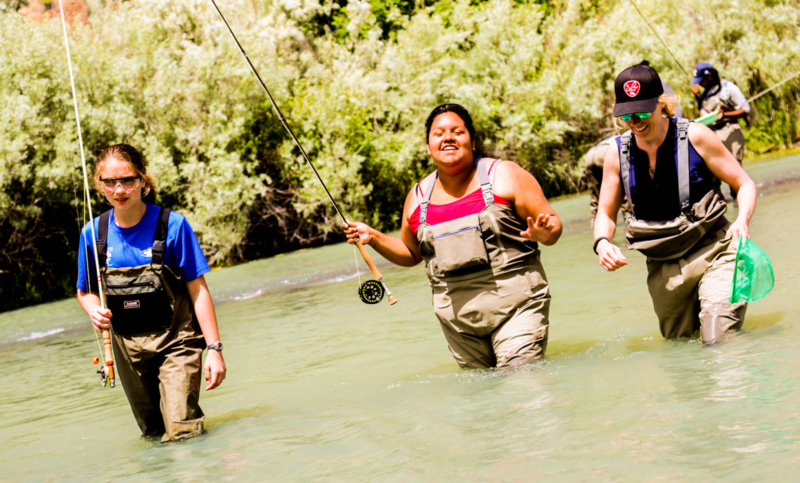 Having the opportunity to explore with youth and veterans into our public lands has turned into an album of great memories learning to fly fish and build community in this jewel environment. Owhyee is an place for healing for us all and a natural aquarium filled with healthy brown trout that gives you a challenging fight to hook in but rewarding when you do hook in and then the fish shares its natural colors of nature to your eyes before you release it back into the river. This special place here in Owyhee must be protected. I never so much seen so many deer coming into our camp and hearing so many ahhhhhhh’s from youth! 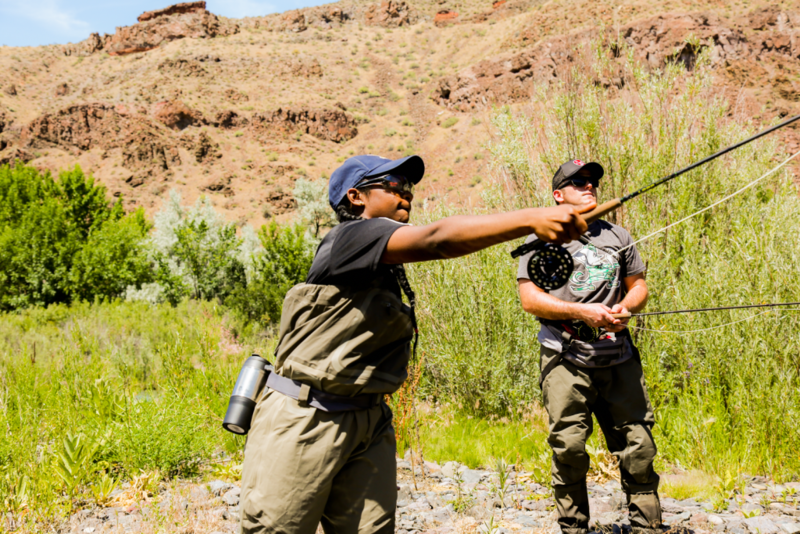 Permanently protecting the Owyhee Canyonlands will give U.S Veterans and youth to continue to explore this pearl of land in the most natural healing way! It is awesome to see new veterans and volunteers alongside returning veterans and volunteers. I am very appreciative to have had the opportunity to be amongst great minds of people who have served our country and now serve our community. These deployments are such an undertaking and take so much to pull off – from the front end of being on the deployment to the backend of people (board members) who are not seen nor heard of who have worked for almost six months to make this specific deployment happen. Everyone knows Stefanie as the administrative juggling task master among parents/families, partnering organizations, volunteers, board members, vendors, etc. It takes a lot of planning to pull this off and as one who volunteers her time, it miraculously falls together. Christa giving her time serving youth and veterans with her amazing menu she put together for the deployment. 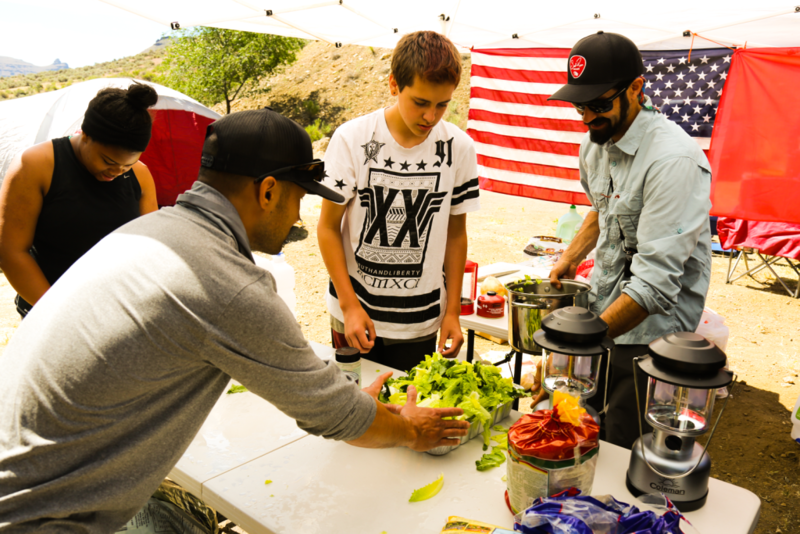 Youth Citlalli and U.S Marine Veteran Carl prepping a meal. I also want to thank the other unknown group behind the scenes who made up the Application Review Committee who handled all the interviews and engagement with parents and youth as well as with veterans. Partnering organizations such as Pew Charitable Trusts and Terry Edelmann of Integrated Interventions LLC also served as integral support. 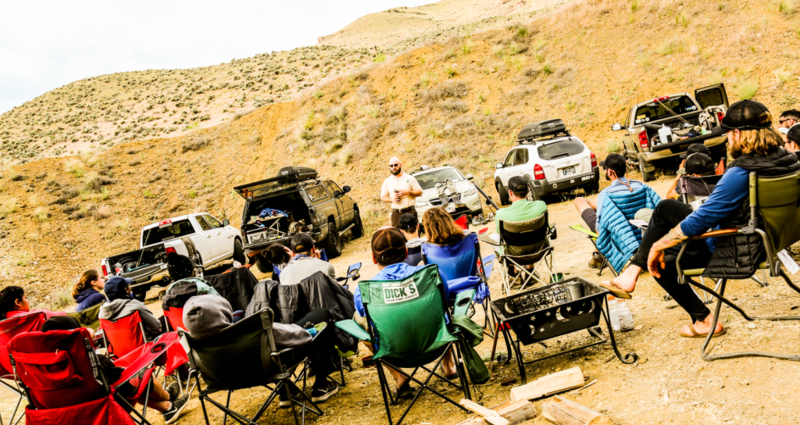 Edelmann educated parents and youth on crisis management in the outdoors. Another key person for this deployment was Soul River Inc board member and health food extraordinaire Christa who is, by profession a nutritionist and founder/executive director of fitlandia. Christa’s ROCK STAR mentality combined with her amazing menu provided healthy eating options, giving SRI the opportunity to continually practice a holistic approach to healing in the outdoors. We are very grateful to have had her expertise and skillset on this deployment. Another approach we are taking this year to support the participants holistically is be inviting a licensed therapist to be a part of the outings. Thank you, Amber, for your support in this capacity. All of the volunteers who volunteered their priceless time to come to the shop the week prior to prepare all the gear, help make informal lesson plans work, and help with the transportation also played a major role. Transportation is the top barrier to accessibility to these types of places for urban youth. Thank you for supporting SRI in making that happen! And last, but not least, to the veterans who serve an integral purpose, thank you so much for giving your time not just for our country but for the next generation coming up. We all serve our country at one time and we have been able to find our way back home in a war that is all around us in our society where there is hate and ignorance and lack of love to our youth. 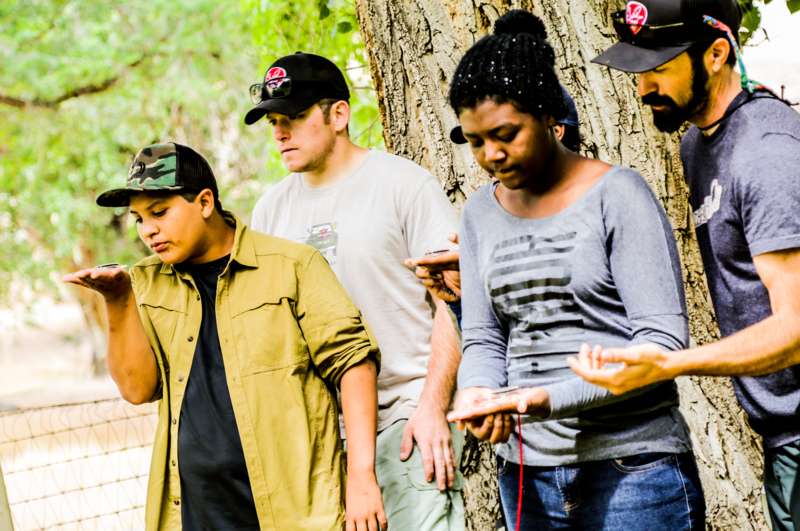 How we serve our country is the same way we serve our youth – through education, heart and guiding passionate, by sharing and protecting young minds into nature to nurture a new life and inspire them to be ambassadors of the outdoors. 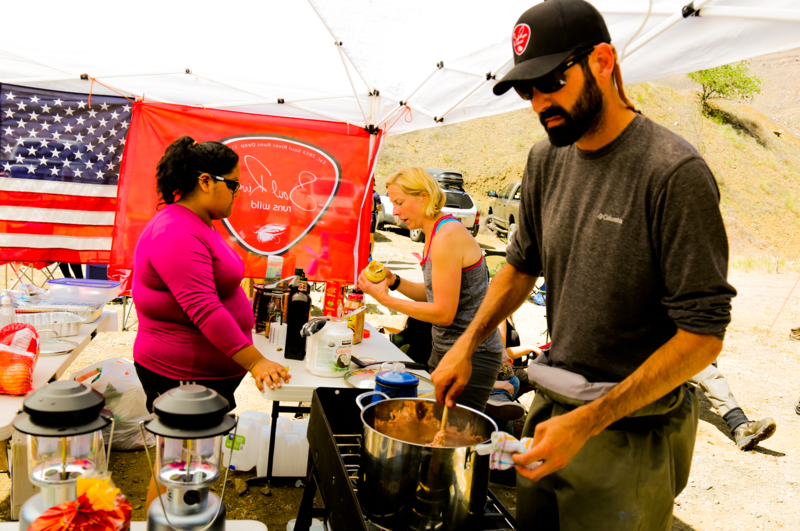 Soul River Inc has two more deployments and two events – Arctic/Alaska is in mid-July to August, Celebration Wild Steelhead is on September 11th at McCoy Park (put it on your calendar! ), Burning Salmon in September, and Angler’s Quest Quinault in October. 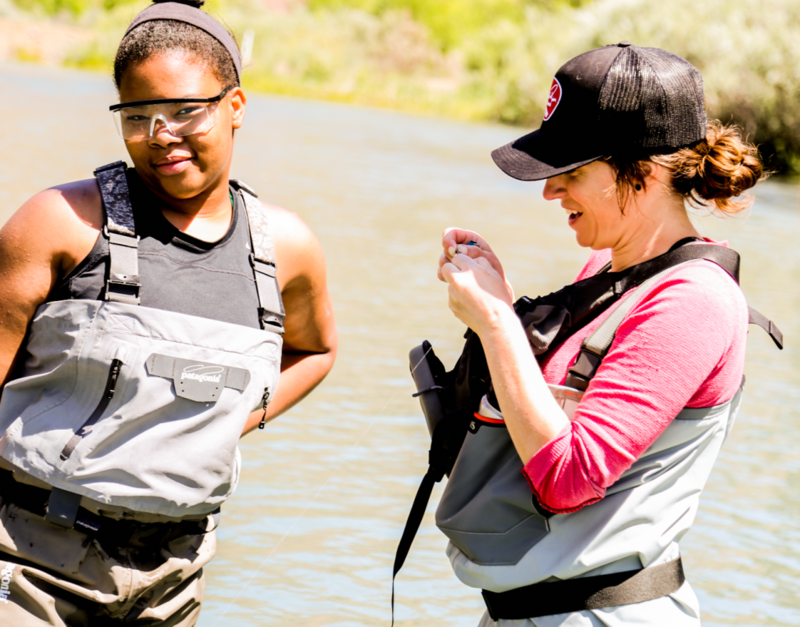 Celebration Wild Steelhead relies on volunteers, veterans, and youth who have attended deployments to help pass on their new (or seasoned) knowledge to inner-city youth who will receive a free fly rod kit! 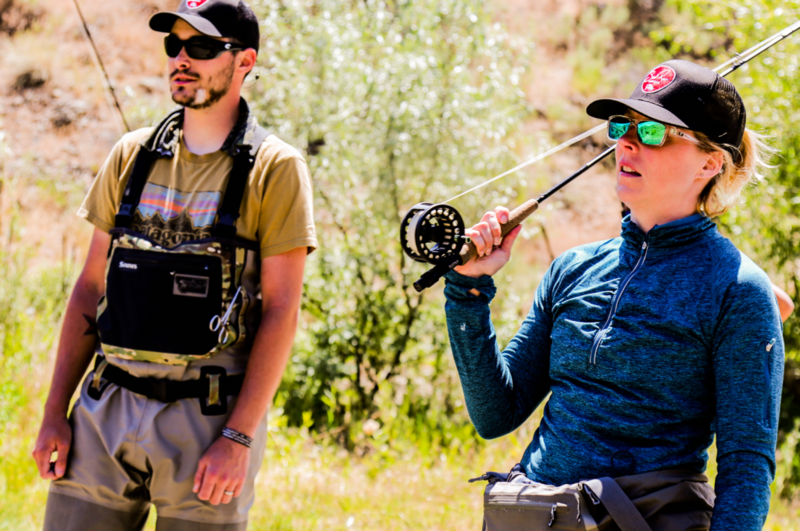 This is a fun event for the whole family and a great opportunity to re-unite with participants of the Angler’s Quest Owyhee deployment. We hope you can join us for this fun event. If you want more information on how you can help, please email Stefanie at Stefanie@soulriverrunsdeep.com. Youth Aminah and Jacoby being lead by U.S. Marine Veteran Carl teaching how to properly fold the American flag, a dying knowledge of our country’s history. 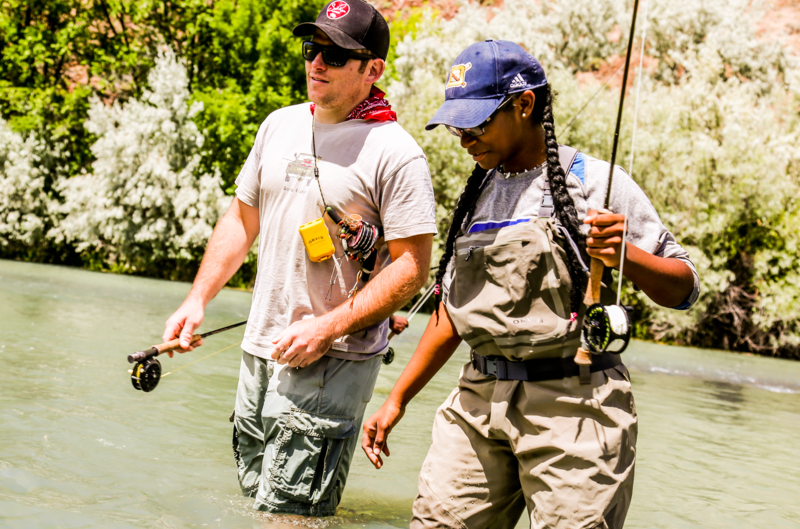 U.S. Army Veteran and SRI board member Mathew teaching Christa to cast. 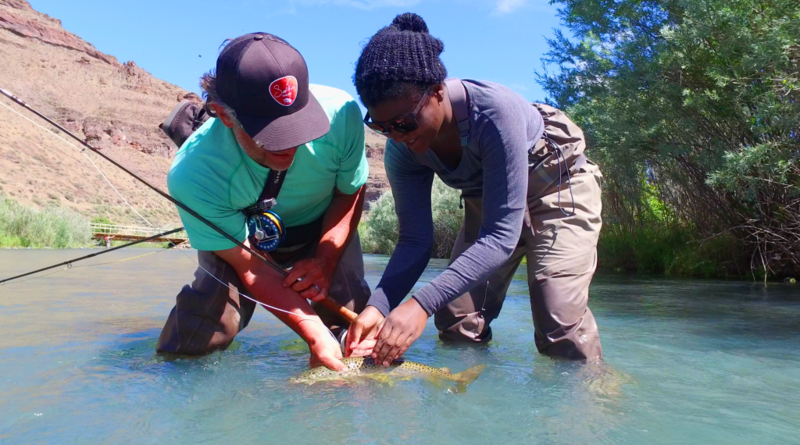 Volunteer Mike and youth Aminah chasing BROWN TROUT!